Best Fitness Trends 2015 - Workout Trends. 10 of the Biggest Fitness Trends in 2015. When you’re constantly looking for more effective workouts that keep you engaged so you don’t plateau in your fitness routine, spice things up this year with some of the best fitness trends of 2015. Whether you’ve tried them all already or you’re familiar with just a few of these fitness trends, you should start paying attention to them since they’re definitely getting big this year. From shorter workouts to a bigger emphasis on recovery after your exercise routine, here are the big trends in the fitness world this year. If you haven’t tried HIIT yet, you definitely should give it a shot. It’s fast, it’s never boring and it always deliver results. You’ll get to choose from more high intensity interval training options at gyms, and because it’s a very versatile concept, keeping things fresh with this workout won’t allow you to plateau. Whether you’re looking to lose weight or get really fit, HIIT is the way to go. HIIT can definitely pack more exercise in less time, but it’s not the only way to get a full workout in a shorter time. More and more gyms are acknowledging that their clients don’t always have an hour to workout and offering classes that take 30 minutes or less. With or without machines, look out for workouts that accomplish more in less time. Combining Pilates, cardio and dancing, Barre is definitely one of the best fitness trends for 2015. If you’re looking for a full body workout that’s also fun, Barre can help you get a few steps closer to a dancer’s body. While it features some ballet inspired moves, don’t skip this one because you don’t feel like you’re a good dancer. Fitness apps were already big in 2014, but online fitness is definitely shaping up to be one of the best fitness trends in 2015. If you’re not crazy about going to the gym, then connecting with others through apps is definitely the way to go. While fitness videos will always be popular, there are plenty of other ways to give a social element to your workout. See also: 10 Exercises You're Doing Wrong! After a lot of classes with complex equipment, bodyweight training is taking things back to basics. Using just your bodyweight, you’re not tied to any particular place to exercise. The American College of Sports Medicine is behind it as the most important workout trend of the year, so don’t be afraid to experiment with a simple workout, including classics like push-ups to squats. Wearable devices that monitor your progress have been around for a few years, but between smartphones that offers more information and apps that can deliver more accurate statistics, they’re finally going mainstream. From tracking jogging to more complex workouts, telemetry is definitely one of the best fitness trends in 2015. If you’re not crazy about the gym vibe and you live in a big city, cardio bars are beginning to offer a better alternative to a boring workout. From a wide selections of natural juices to live DJ sets that set the tone for a great workout, cardio bars are definitely taking the concept of a fun workout further than ever before. 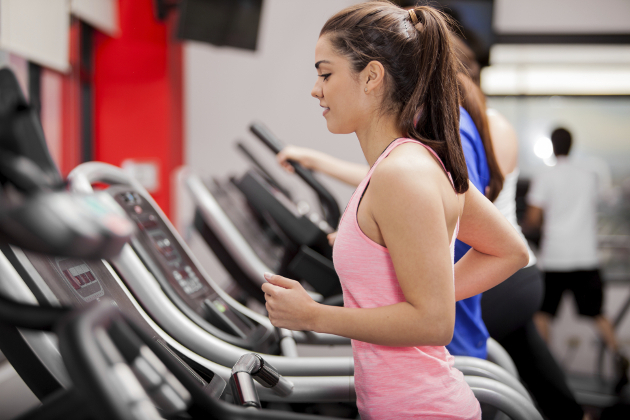 The old treadmill is usually considered a solitary exercise, but it’s going social as one of the best fitness trends in 2015. Treadmill studios are offering special classes, with an instructor and upbeat music, in order add a social component to this tried and true workout. Focusing on the best workout doesn’t mean you should ignore the warm up and the recovery process. Plenty of gyms are putting emphasis on a little stretching and even a post workout massage. Finish a workout the right way, and your muscles will be better prepared for the next one. The newest spin on personal training session could turn out to be one of the best fitness trends of 2015. Instead of a one on one session, group personal workouts are for groups of 2 or 3 people. You can work out with your friends and pay less, while all of you are getting plenty of attention from the trainer.